What happens when the world’s most feted fashion artist looks back on two decades of shows with a new tome? 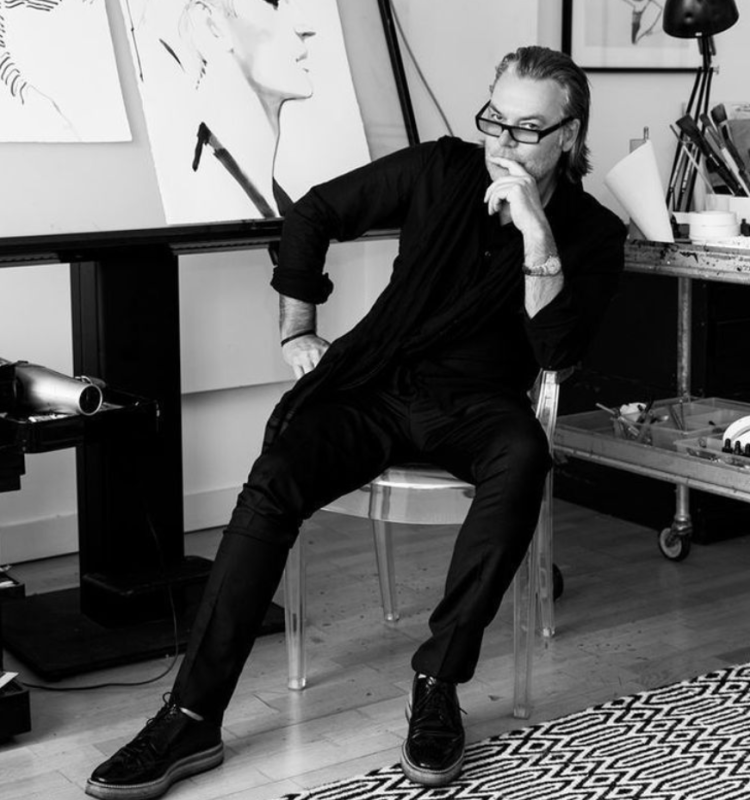 Over the past twenty years, David Downton has carved an elegant niche for himself in the fashion world – with front row seats, glamazons on speed dial and a residency at Claridges. Now, with a world tour almost completed, the Sussex-based artist is as close as it gets to being a rock star draughtsman. To celebrate he has compiled his favourite fashion sketches into one exquisite book. DD 21 is, as the name suggests, a compilation of Downton’s favourite fashion moments from more than 20 years of sketching Paris’s haute couture shows each January and July. A beautiful limited edition of 900 comes with a hand-numbered and signed ex libris (£90) while an art edition, in a cloth slipcase, contains an archive print from Versace’s A/W 1996 show (£200). Downton will be signing books and will also be in conversation at The Shop at Bluebird’s new Covent Garden store on 31 May.